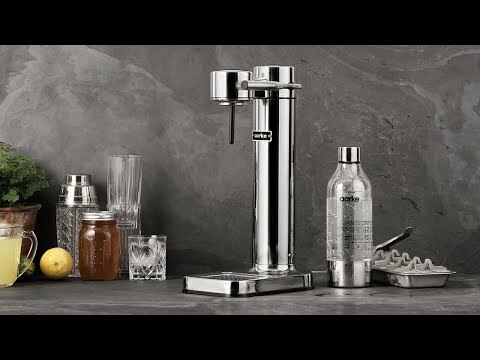 This sparkling water maker is a beautiful stainless steel appliance that makes your water sparkle and looks great on your counter, too. Create your own healthier, eco-friendlier seltzers with the touch of a button. 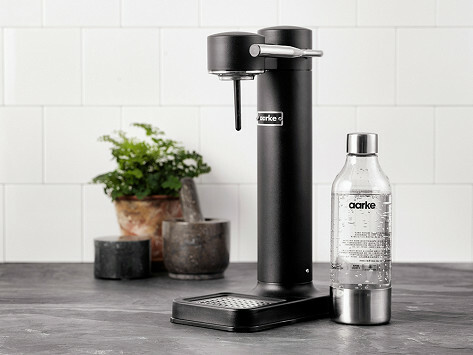 Industrial designers Jonas Groth and Carl Ljungh invented aarke to carbonate effectively and look great on display. Dimensions: 10" x 6" x 16"
The look is so stylish and it works beautifully. I fell in love with the look and it’s minimalism. It works just as well as it looks. I’ve purchased extra bottles. Although it looks like it is well built that is not the case the neck broke after just one use.